SPORAH TV: MERRY MERRY CHRISTMAS...! 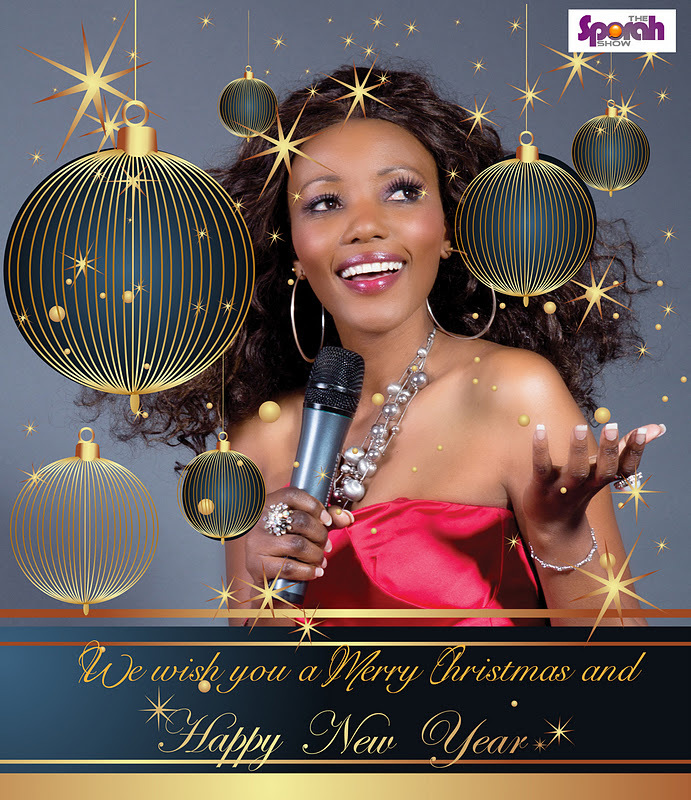 The Sporah Show Team Would Like To Wish You a Joyous Season and a most Prosperous and Healthy New Year. Thanks For The Support Through The Years and Keep Watching The Show. .
MERRY CHRISTMAS TO YOU ONCE AGAIN AND HAPPY NEW YEAR. I hope that your Christmas would be enjoyable and may the essence of Christmas remains always with you. My﻿ favourite chritmas song and my favourite group. On the 8th day of Christmas my baby gave to me a pair of chloe shades & a diamond belly ring On the 7th day of x-mas my baby gave to me a nice back rub and he massaged﻿ my feet On the 6th day of x-mas my baby gave to me a cropped Jacket with dirty denim jeans On the 5th day of x-mas my baby gave to me a poem that he wrote for me [Bridge:] The the feelin' that I feel is so good He makes me feel so in lo-lo-lo-lo-love If he only knew what he does to me. sporah your an Iron lady, i love you, may God bless you always!! merry Xmas to you sporah and your team.